Open from 8am seven days per week selling breakfast, lunch and dinner. 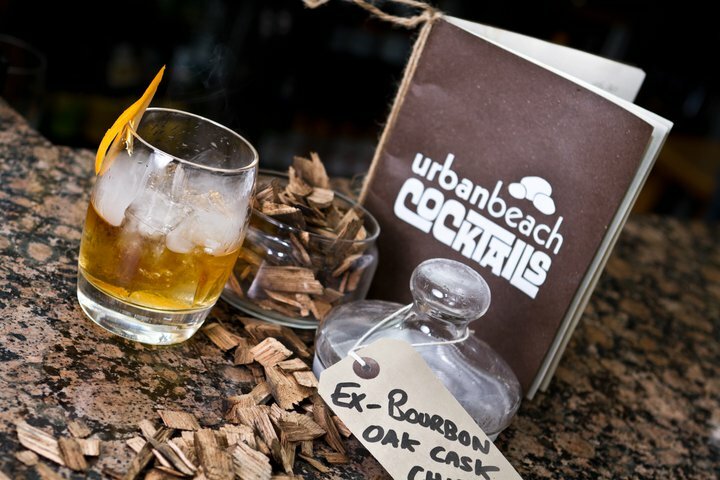 Food at the Urban Beach is served in our decadent ground floor bar and bistro. By morning a relaxing space to enjoy breakfast whilst reading the daily delivered papers, and by evening a bustling bar and bistro popular with locals and guests alike sitting up to 150 people. Whether soaking up rays on the deck in summer, or huddled around the fire by winter, it's a great space to simply 'be' and watch the world around you. Service a bit slow today, but acceptable if you are having a relaxed meal. Lovely food and lovely service! Burgers & Fish&Chips were lovely. As always, an amazing Sunday Lunch at Urban Beach. Had a really lovely lunch here, it was lovely to be able to sit outside but in a sheltered area. Would definitely come back. This restaurant is a hidden gem, with amazingly friendly staff, providing the best possible service. The food is wonderful, with a great selection to choose from. They are also very accommodating with food allergies. And, the heated seats are a thing of beauty. Thank you for another lovely dining experience. The food was absolutely delicious and the service was friendly and professional. I would definitely recommend this restaurant to everyone. Lovely, friendly staff, great food and everything is well priced. The only tiny thing, and it is tiny, was a member of the waiting team didn't listen when I ordered my drink and I received the wrong cocktail, which meant I was waiting for my replacement drink for over 10 minutes as they had to take the wrong one back and make the correct one from scratch. 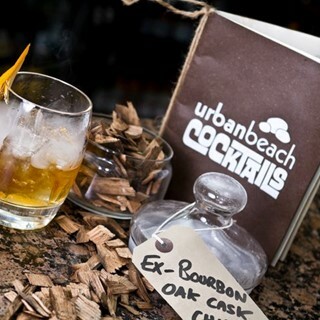 That aside, I would certainly recommend Urban Beach to friends and family - it's a wonderful place! A most enjoyable lunch, however we didn’t feel the service was up to the usual standard. The team here are amazing. So welcoming and friendly. The food is great as well as the atmosphere. I would recommend this place to anyone. Definitely keep going back as everything is always spot on! Love this place. Highly recommend, especially for breakfast. Great service, great atmosphere, really tasty food! Not cheap but a lovely meal out is worth paying a bit more for! We had a lovely evening for my son’s 27th Birthday, great food and atmosphere. Very friendly and helpful service and even gave my son a pint on the house which was a nice touch! Will definitely return. We were a table of 9 and had three babies with us for Sunday lunch. We asked to sit outside and were kindly told we’d be given extra space for the babies . We had a fantastic lunch. Everyone agreed the food was delicious and the service was brilliant. We were told in the phone we would need to be a little patient as we were 9 people. We did wait a little longer than average for a meal but the atmosphere was so lovely we didn’t mind . Excellent service and food. So much so we visited twice during our 5 night stay in the area. Maybe many people would disagree, but I feel that dogs should not be permitted in eating establishments for hygiene reasons and other peoples’ enjoyment of their meal . Third year here for Christmas party with work colleagues, another good one. Nice and local for us and we like the fact we can sit around the fire afterwards with two for one cocktails. Staff made us feel very special and welcome especially Charlotte.. the food was delicious and there was a lovely buzz in the restaurant. My favourite place in Bournemouth !